Hmm, this is clearly not going to be straightforward. I am still quite happy with my wonky string blocks, but am already oh so bored of making them. Here's one step on from where I was last time. So I thought I'd make some circles, as some of you suggested. They would provide some variety in the making and, in theory, might provide some little spots of calm in what is a very busy quilt. I could have gone about this in a number of ways but thought I'd try something I haven't done before, so they are inset (following this tutorial). Occasionally I like to have a go at something that requires precision, just to prove to myself that I can do it (or not) and this time it worked out fine. I made three then had a play. I've deliberately not made them exactly the same size as the existing squares and you can see the different ways I thought about making them larger: plain black strips, black with the green insets or using a string style edging. And after all that work I wasn't convinced they added anything. I've not absolutely decided yet, but for now I've stuck them in a corner and gone back to playing with just the two elements (you can ignore the little coin strip on the right hand side). Nothing for it, then, but to make more strings. PS Since I'm only a day late I'll link up with Sew Stitch Snap SHARE too. Ahhhhhh! I love the circles! Oh, well. LOL I like that method to make circles. It is very much the same as the my go to, Dale Flemming's 6 minute circle. I remember making a string quilt too, perhaps because mine were more rainbow scraps I didn't get too bored. I look forward to seeing what else you add to this, sometimes putting projects away and coming back to them is the best thing - a block here, a block there. Thanks for linking to Sew, Stitch Snap, SHARE. The circles and/or the coin bits might still find a role to play . . . just keep stitching! Maybe cut pie slice wedges out of the circles? I love watching you work. Thank you so much for posting your process as you make your quilts - it's fascinating! My suggestion is to consider a medallion with narrower rounds of your circles or the Coins. I actually like your strings alone but imagine you are tired of making the same blocks over and over. After all, you did that with the Shipping Forecast, too. I like the version with the circles. Think about cutting the circles in half - either diagonally or side to side and maybe a partial circle will be just the relief you need. I like the addition of the circle element. I like to pop in and see your progress (or play?) especially since I don't think I could work like this. And I'll bet you find a place for those circles! Really like the inset circles, theyd make a great top all on their own! How about a self fabric block here n there, all stripe, pattern or plain? I'm thinking as I look at your lovely shapes of blocks on the floor and carpet, that this quilt would look good with lots of negative space. which is much easier than it appears in a tutorial (https://www.quiltingboard.com/tutorials-f10/inset-circle-using-freezer-paper-glue-t90945.html), and you can press the seam either way you want, for a circle on background, or background over circle. I like the big HSTs mixed in with the string blocks. Such an interesting method for making circles. Will have to bookmark that for the future! 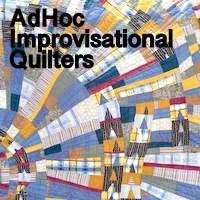 The colors of this quilt are quite memorizing to me. Somehow they feel a bit earthy and intense all at the same time. Oh I really the circles. I like the added curves to all the straight lines and they definitely add resting areas for the eye. yes to adding more circles. I really think the circle blocks do add a lot. You probably don't want to use too many if them, though.